Twentieth Century Fox has released a first trailer for Ridley Scott’s biblical epic Exodus: Gods and Kings, a re-telling of the tale of Moses that we hope won’t be as ridiculously awful as Darren Aronofsky’s Noah, an embarrassing re-imagining of Noah as a Clash of the Titans character. Unfortunately, the trailer fails to give us faith in the film. Clatto doesn’t mean to be holier than thou. If there is a heaven, we won’t be there. But, bible stories are so brutal and awesome, why not stick to the original source? Here’s hoping Scott gets it right. 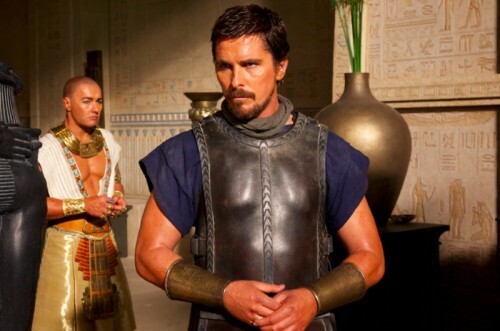 Anyway… Christian Bale (Dark Knight) stars as Moses and Joel Edgerton (The Thing) plays Pharaoh Ramses. Co-stars include Aaron Paul (”Breaking Bad”), John Turturro (Transformers), Sigourney Weaver (Aliens) and Ben Kingsley (Iron Man 3).